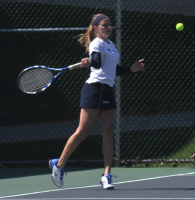 Quinnipiac’s Rachel Cantor returns a volley in Saturday’s meet vs. Hartford. 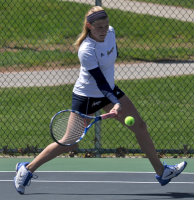 Quinnipiac’s Sarah Viebrock returns a volley in Saturday’s meet vs. Hartford. 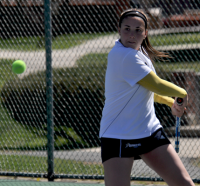 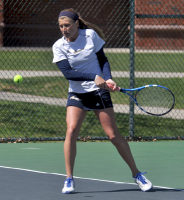 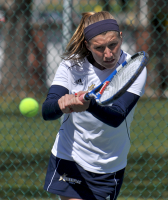 Quinnipiac’s Rachel Cantor serves the ball in Saturday’s meet vs. Hartford. 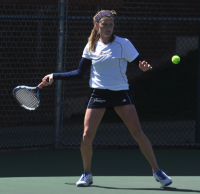 Quinnipiac’s Jackie Raynor returns a volley in Saturday’s meet vs. Hartford. 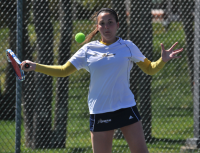 Quinnipiac’s Rachel Cantor prepares to serve the ball in Saturday’s meet vs. Hartford.